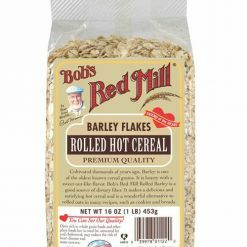 Bob’s Red Mill Rolled Barley Flakes have a mild, sweet, nut-like flavor. 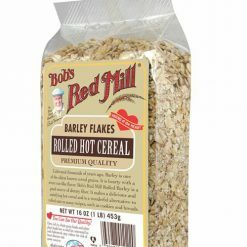 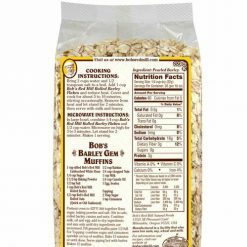 It’s a unique alternative to rolled oats as a hot breakfast cereal but can also be used in granola, cookies, meatloaves, breads, and other recipes in which rolled oats might be used. 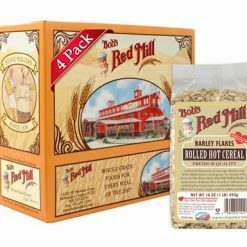 With 3g of protein and 3g of dietary fiber, this hearty breakfast cereal will Fuel Your Awesomeness(R) for the day!